How to minimise office distractions & interruptions. How to manage distractions at the office. It’s one of the most common questions we all ask at least once during our working lives. The answer? Well, you’ll be glad to hear there’s several, and it’s all about being sensible with your time, honest with people who are taking up too much of it and making use of the right technology. Managing distractions at work has got much harder in the digital age where the number of distracting devices, apps and methods of working are colossal. Everywhere you look, there seems to be something else vying for your attention, be it in audio, video, written or human form. Some of those elements of everyday life are perfectly acceptable and there’s little you can do to limit their appearance, but there are lots of unnecessary interruptions at work we can all work much harder to minimise our exposure to. In this post, we’ll finally be answering the question “how to minimise interruptions and stay focused at work”, and the answers are rather simpler than you might think. Before we discuss how to manage distractions at the office, let’s go back to basics and look at the anatomy of an interruption. Interruptions in the modern workplace come in many forms. There’s the obvious, such as the radio, extended water cooler chats and a ‘quick’ browse of an interesting website someone just suggested to you via email. Then, there are the less obvious interruptions, such as line managers going entirely against their own rules and interrupting their own team. Not only is this a poor way to set standards at the top, these type of interruptions can be among the worst. For instance, consider the designer who has been given the task of working on a new logo for Client A. She’s getting on brilliantly, and deeply focused in her work – until an email arrives from Client B asking for a tweak to a recent website design (the designer isn’t entirely innocent here, because she hasn’t turned off email while working, but that’s for another post). Immediately, the designer’s focus is lost as she begins looking for the website design and starts to consider how the design changes might be carried out. 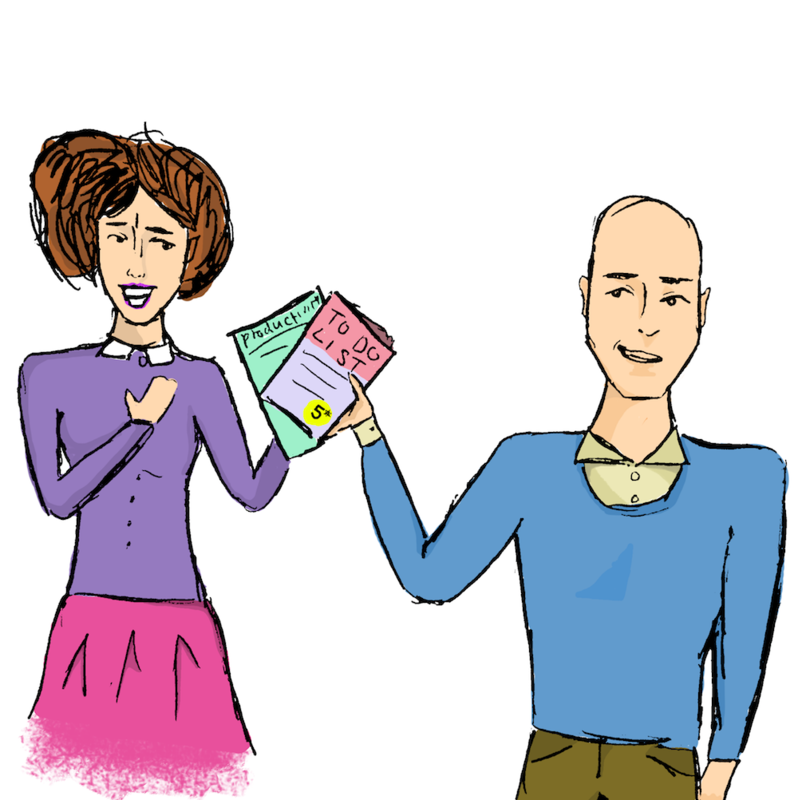 Then, it gets worse; an email from her boss arrives asking for an update on Client C – a client he’s only just remembered he’d promised a favour for two days ago. Double distractions, and one from someone who really should know better! As a result, the designer has now probably completely forgotten what she was working on originally – a perilous position to be in on what was working out to be a very productive day. How long does it take to refocus after an interruption? Even if you play strictly by the rules above, you simply can’t account for every possible workplace interruption, and you’ll probably still find yourself asking how to manage distractions at the office. If you are interrupted, it’s important to bear in mind the recovery period. Depending on the type of interruption, your brain will need time to refocus and get back to where it was. 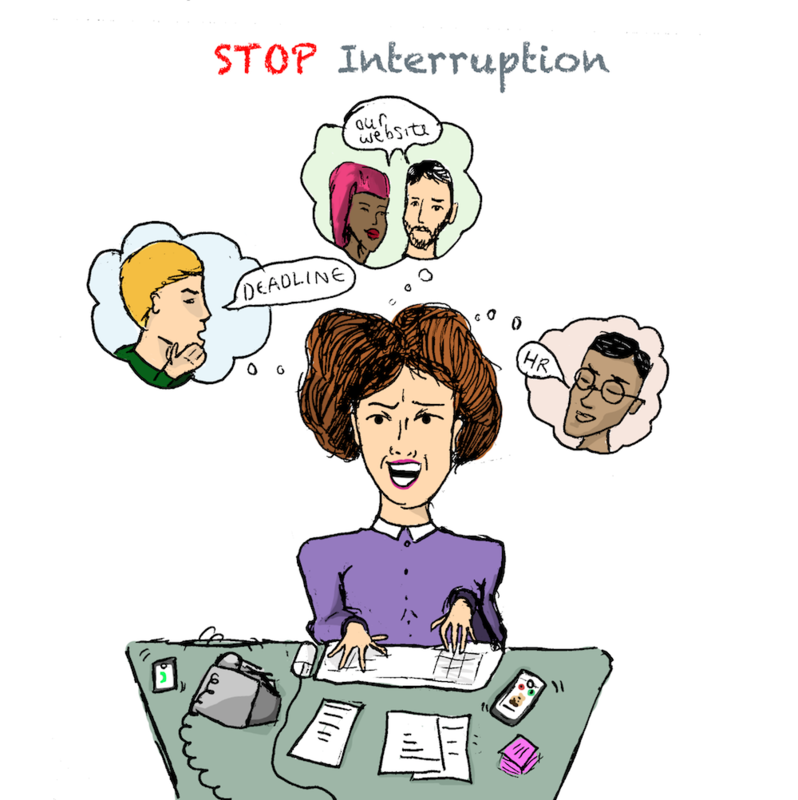 Unfortunately, interruptions often cause far too many unfinished tasks following a bout of interruptions. Many of these unfinished task do not get completed at all. So, how do I manage interruptions at work? We’ve spent an awfully long time raising our own game when it comes to minimising and dealing with interruptions in the workplace, and we’d like to share our tactics and best practices with you today. Some people might think they’re a bit rude, but what do you do when you working out how to minimise interruptions and stay focused at work? The first thing, inevitably, is that you’ll press the ‘DND’ button on your office phone. So, why shouldn’t you do the same at your office desk? If you really need to dive into a piece of work, hang a piece of paper on your monitor which politely makes it clear you need to be left alone. Many people do this a little more surreptitiously by simply popping their overtly big headphones on. Basically – do whatever you feel comfortable with to make it visually clear you can’t be disturbed apart from absolutely emergencies. You’re responsible for keeping other people undistracted, remember; if everyone in the office takes that approach, managing distractions at work becomes an inherent part of the business culture. One of the best things you can do to minimise distractions is to avoid copying all and sundry into email replies – even if they were in the original email. Before pressing ‘send’ have a good think about who you can shave off the list. For instance, Terry in Accounts probably isn’t going to have much of an interest in an email which asks the development team how a better report into page insights for you website can be generated. The less people in an email thread, the less people there are to be interrupted. There are few better places in which to ask the question “how to minimise interruptions and stay focused at work” than in a productivity training session. If you have the budget for it, there’s plenty of options for this type of training in classroom form, but you don’t have to spend a penny. Productivity is best learned by reading about the various strategies available and practicing them, so why not give employees the opportunity to spend some time each week reading up about productivity online each week. It won’t cost the business anything, and you should end up with a far more autonomous and productive workforce as a result. There are some fabulous books to be devoured on productivity and minimising office distractions. Books won’t break the bank, therefore if you can splash out on a few and place them around the office, you might just find that curious employees take note and invest some time in reading them. The trick lies in finding the most informative, to the point and straight talking books on productivity, as they’re the easiest to digest and share around a busy office. One of our favourites is Productivity Habits: Working Until All Hours Isn’t Being Productive by John Blunden – partly because it debunks a very poplar myth. You can do the same with productivity blogs; as you come across new sources of tips and advice that have helped you, add them to a central bookmark store that everyone can access and encourage them to do the same. Meetings; businesses thrive on them, but they’re not always necessary. How many time have you been in a meeting about a project you are not involved in and you have absolutely no interest in ? Exactly. Make it a company policy to only schedule meetings that are necessary – and which only include the people who need to be there. Interruptions can be incredibly costly to businesses. Think about our designer friend from earlier; let’s say she’s being paid £35,000 per year. That works out at roughly £18 per hour. If those distractions cost her accumulatively four hours of lost time on Client A, that means the business is effectively £72 down. And that might not sound like a lot in the grand scheme of things, but add it up over a year and all of those ‘little’ distractions add up to a serious chunk of employee overheads. People who are salaried rarely think about the time they spend at work in monetary terms, and the same unfortunately goes for some managers. If you can highlight the cost of interruptions as we’ve just done, people will think differently about the way they spend their time in the office. 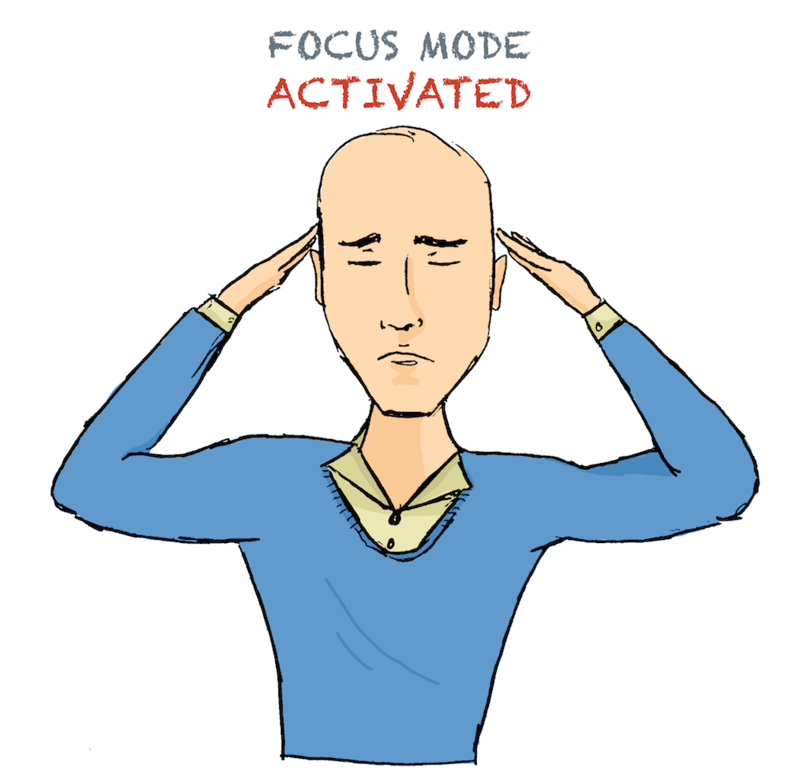 The question of “how long does it take to refocus after an interruption” will consequently be asked for more often with people determined to make the task of re-focusing far less a regular occurrence. As we’ve regularly pointed out in this post, interruptions are impossible to remove entirely; they’ll still pester you, no matter how hard you work at reducing them. Regardless, if you follow our tips above, you’ll certainly minimise them. The trick lies in knowing how to re-focus and get back to where you where – but you can only do that with a well-maintained to-do list. Without a to-do list-based plan, you simply won’t get everything done and it’ll become harder to pick up where you left off after a distraction. Despite this, so many people still work without a to-do list. However you decide to organise yours (be it on old-fashioned pen and paper or within an app), make sure the to-do list sits at the heart of your productivity regime, because it’ll be a lifeline after that next interruption.